Wednesday 24th September 2014 – 12.45pm – Suzie Wheaton. 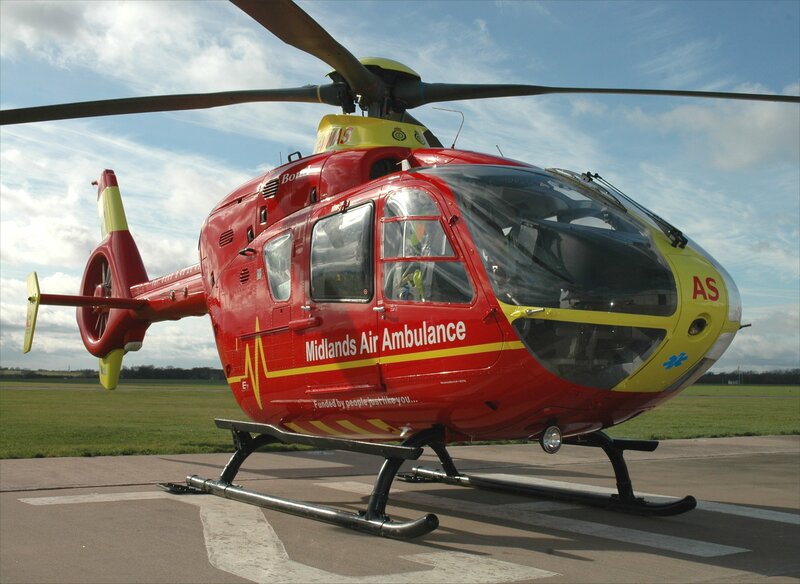 A child has been airlifted to a specialist major trauma centre in Birmingham following a road traffic collision in Shropshire today. The incident happened on Henley Road in Ludlow shortly after 8.05am this morning. An ambulance and a rapid response vehicle were initially sent to the scene. On assessment of the patient, ambulance crews requested the assistance of an air ambulance and the Midlands Air Ambulance from Cosford, carrying a trauma doctor and a critical care paramedic, was dispatched. A West Midlands Ambulance Service spokeswoman said: “On arrival, ambulance staff found a car and a pedestrian that had been in collision. The pedestrian, a boy, was found lying in the road near to a car, which had sustained damage to the windscreen. “The boy was found to have a head injury and had a reduced level of consciousness. Due to the potentially serious nature of his injuries, the doctor from the air ambulance provided the patient with an anaesthetic at the scene. “The boy was fully immobilised by ambulance crews, as a precaution, before being airlifted to Birmingham Children’s Hospital for further assessment and specialist treatment.